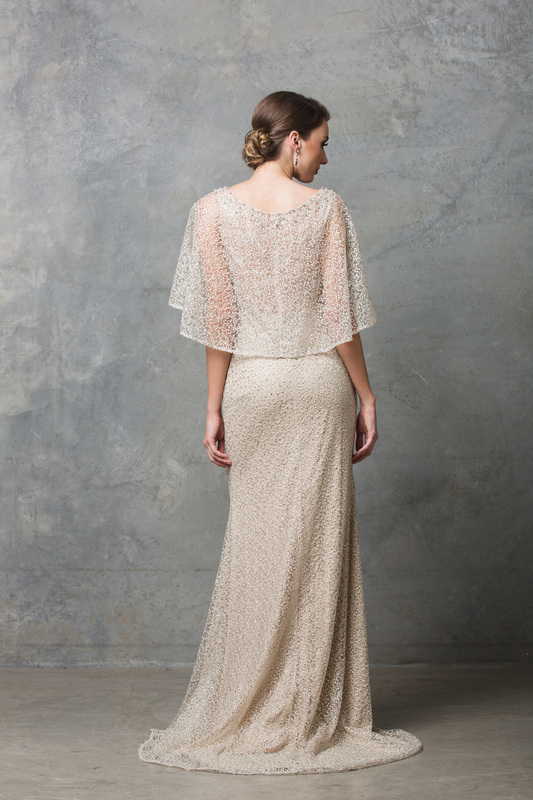 The Carolyn Beaded Lace Wedding Dress features a cape sleeve over a delicately beaded bodice. The perfect bridal dress for the modern muse. 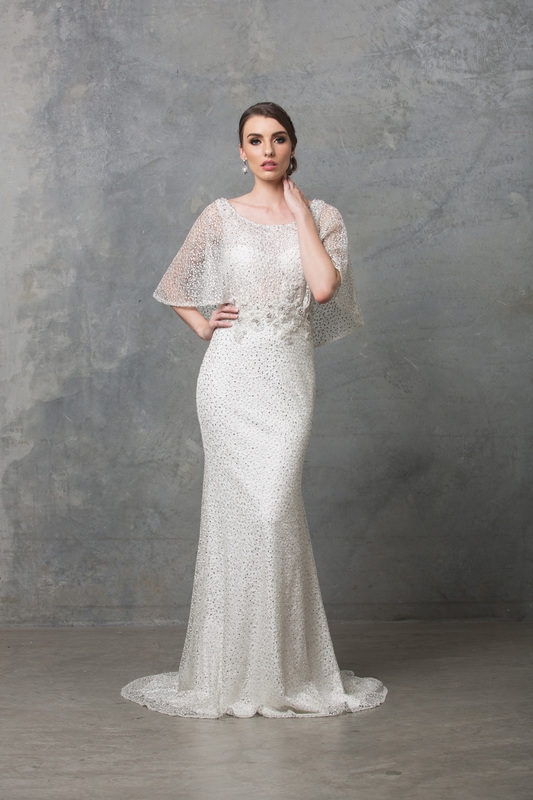 The Carolyn Beaded Lace Wedding Dress is elegantly encrusted with crystals throughout, featuring a sheath cape which is attached to the dress. Lace applique waist beaded detailing gives the fitted design a glamorous finish. For an ultra smooth fit the stretch fitted lining is a great asset to the embroidered silhouette.